The Gulf of Chiriqui on the Pacific coast of Panama is one of the few areas in the world where humpback whales from both the northern and southern hemisphere come to mate and to give birth. 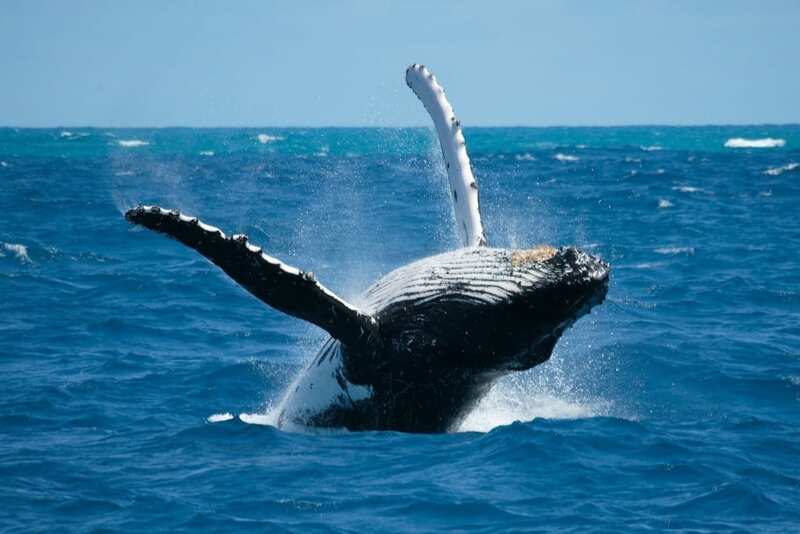 Whale watching in Gulf of Chiriqui occurs every year from August to November. The humpback whales visit this area to teach their babies how to swim and dive. They love to put on a show! Orcas may also be seen on the east side of Coiba Island in the Bahia Damas. Sperm whales also are known to stop here. Toothed whales may also be seen on the Pacific side of Panama, including beaked whales and the short-finned pilot whales. Panama Nautical Club, located on Isla Boca Brava close to Boca Chica runs daily tours between August and November to see the whales. The tour includes an Island stop over and includes complimentary drinks. The whale watching Gulf of Chiriqui tour takes you on a private boat from the Island Lodge and you spend 3 hours touring the outer Islands and nearby national parks with our captain. We float quietly beside these beautiful giants as they swim alongside the boat with their babies. On board is snorkeling equipment to enjoy the coral around Isla Bolanos. Here you can find colorful fish, sponges, coral, mollusk, green turtles, puffer fish and other creatures which live in these tropical waters. The other option is a stop Isla Gamaz where you can enjoy a quick swim at this pristine beach. Prices are based on the number of Guests on the daily tour, they ranges from $70 to $50 per person. Water, snacks, sun screen, hat, swim suit and towel, camera and extra dry clothes.